If you have SmartThings Wifi, you can find the setup steps here. If you're unsure of which version of the SmartThings Hub you have, click here. Adding a SmartThings Hub to your SmartThings app will allow you to connect to supported devices and the many third-party integrations that work with SmartThings. Note: It is not recommended to add a SmartThings Hub to a Location with an existing Hub. To start connecting devices, find your device here. 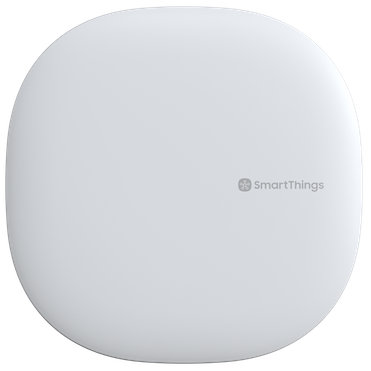 Note: Changing the Wi-Fi network that the SmartThings Hub is connected to will not affect any existing devices, Scenes, or Automations. Connect your Hub using the included power and network cables. Don't unplug the Hub during the setup process. Setup will take 5-10 minutes to complete. NOTE: Deleting a SmartThings Hub means all devices connected to your Hub will have to be reset or excluded before they can be reconnected. All Automations and Scenes associated with that Hub will be lost, as well. However, the Hub will need to be factory reset before it can be claimed again. Click here to learn how to factory reset your SmartThings Hub.